Why should I choose Construction Voyer? We create exceptional living spaces, designed according the life and style of Quebecers, with quality standards superior to those of the industry, since 1973. 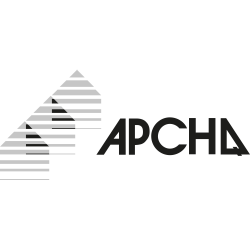 The first Voyer family company was founded over 40 years ago in 1973. Since then, they’ve brought a great variety of residential projects to market. To-date, Voyer family members (René, Pascal, and Jean-François) count close to 7,000 projects in their portfolio and about as many loyal clients. What does your tagline “Lifestyle Visionaries” mean? We do build homes and condos to higher-than-industry standards, but we also pay special attention to the areas and neighbourhoods where our projects will take root. On one hand, we do this out of respect for the environment, providing green spaces and choice recreational activities for our customers. On the other hand, we do this in order to locate our homes within accessible urban areas, close to major traffic arteries and services. Our ultimate goal is to create exceptional living environments in which our future owners will enjoy living, growing, evolving and prospering. What is the “Voyer Quality” seal? Our quality program was developed on 4 key pillars. Build exceptional living spaces all while contributing to the preservation of the environment and natural resources. Can I modify or propose plans for my future home? Absolutely! Thanks to our personalized support services, you can modify one of our model homes, propose your own plans for technical drawing, or allow us to propose a custom architectural plan based on your needs and budget. Is it possible to build a home on a site of my choice? Certainly! Our team can even guide you in the selection and purchase of a homesite, if you wish. We do everything to make your life easier! I saw some superb model homes in one of your past projects – is it possible to build something similar? Of course! If you have a specific idea in mind and know the name or address of the real estate project, one of our representatives can identify the model you have your eye on, give you all the information about it and guide you in its construction. With our hundreds of model cottages, bungalows, and selection of multigenerational homes, you will no doubt find the perfect Voyer home for you! When the sale is concluded, will I be on my own if any problems arise with my new home? Fear not – the Construction Voyer post-sale service team promises complete handling of any problem situation in case of any doubt. All you have to do is provide us with your availability and we will organize visits and repairs. Is it possible to rent in one of your condo projects? Absolutely! You can enjoy Voyer Quality, all while remaining a tenant! Our rental agent would be happy to propose rental units that match your needs, budget and desired neighbourhood. I’m thinking about doing renovations or building a major addition onto my property. Can you help? Certainly! Construction Voyer can help with all your major home projects. We can expand your property (add an extension, a new floor or a garage) or replace complex components (structure, foundations, electricity, plumbing, exterior, etc.). Do you build eco homes? 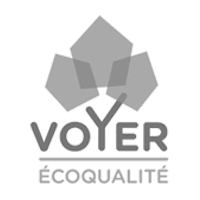 All our properties are certified with the “Voyer Quality” seal and rigorously apply construction criteria that far surpass the norms in effect in Quebec. As such, you can count on enjoying a durable property with high energy savings, offering comfort, excellent air quality, and lasting savings on heating. We are NovoClimat 2.0 certified and can build your home according to this criteria. We also built the very first 6-unit Net Zero energy consumption building. Basically, we’ve got the team and experience to bring your dream home project to life! I would like to invest in a triplex property, is this possible with Voyer? Of course! We offer wonderful opportunities for investors. As with all Voyer constructions, our triplex and sixplexes feature higher-than-industry construction quality, and are also located in very coveted neighbourhoods. I would like to build a home where I can have my parents live with me, can you help? Certainly! We take the wellbeing of your family to heart! Our multigenerational model homes provide both comfort and intimacy. In order to meet all your needs, we can also modify one of our model homes or create a custom one for your family! What is an RBQ for? 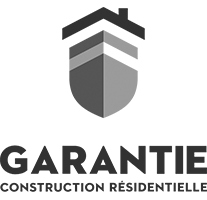 Each real estate project is associated with a specific RBQ license issued by the Régie du Building du Québec. This license of 8 to 10 numbers, ensures the legitimacy of your real estate project.